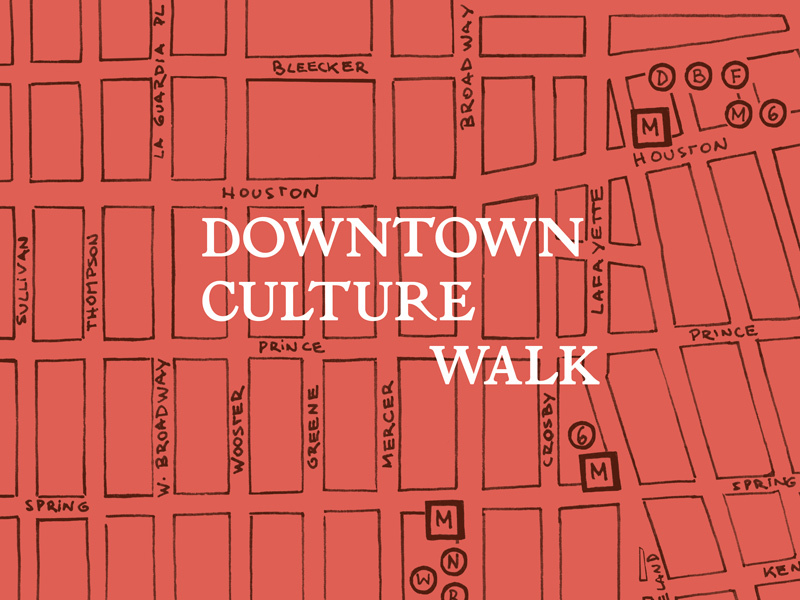 Join us on Saturday, April 28 for the Downtown Culture Walk, a self-guided walking tour presented by the SoHo Arts Network (SAN), highlighting the non-profit art spaces in the SoHo and downtown neighborhoods. See the map and programming brochure here via Art in America. SAN celebrates the rich history of our unique creative community and collectively shares our distinct cultural contributions with neighborhood residents and visitors. We are inviting participants to discover the nonprofit art spaces in the neighborhood.